Sandpiper AODD Heavy Duty Flap Pumps are recommended for abrasive slurries, suspended and non-suspended solids and line-size solids requirements. All SANDPIPER® Heavy Duty Flap Pumps are configured in bottom discharge porting arrangements and provide superior suction lift. HDF pumps are thick wall constructed of Sand Casted Aluminum, Cast Iron and Stainless Steel with elastomer, and TPE (thermal plastic elastomers) options in diaphragms and check valves. 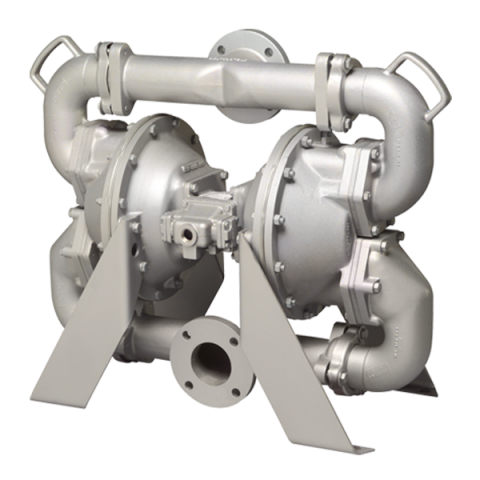 HDF pumps are enhanced with an extended wear package.